WELCOME TO THE LAW OFFICE OF CARTER MOREY, P.C. When your injuries are serious or when a loved one has been killed, it can be critical to work with an experienced lawyer. The trial attorneys at the Tucson, Arizona, Law Office of Carter Morey are those experienced lawyers. We are zealous advocates and focused on achieving successful outcomes for our clients. At the Law Office of Carter Morey, we are dedicated to representing the victims of personal injury and helping seriously injured people and their families hold negligent actors accountable for the harm they have caused. Our legal practice has developed a reputation for tenacity in the courtroom. We handle a wide range of matters including medical malpractice, nursing home neglect, wrongful death, and insurance bad faith. 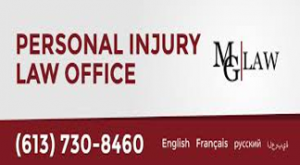 We understand the impact serious injuries have on the lives of accident and malpractice victims. So, at the Law Office of Carter Morey, we work hard to accommodate your needs. No fees are charged unless we are able to recover damages. Evening and weekend hours are available. Home, rehabilitation center and hospital visits can be arranged. When injuries have changed your life, talk with a law firm focused on standing up for injured clients through quick and aggressive action. Talk with the Law Office of Carter Morey For a free initial consultation regarding your personal injury, please contact our Tucson law office at 520-792-4330.